It&apos;s a great idea to devote an entire day to Omaha&apos;s internationally acclaimed zoological park, Omaha&apos;s Henry Doorly Zoo and Aquarium - it&apos;s the ultimate interactive zoo experience. The Desert Dome is the world&apos;s largest indoor desert under the world&apos;s largest geodesic dome. Walk through the deserts of the world and experience rare plant and animal life. Under the dome and below the surface, you&apos;ll find Kingdoms of the Night, the world&apos;s largest nocturnal exhibit featuring creatures that only come out at night. Take an expedition through The Lied Jungle, America&apos;s largest indoor tropical rainforest. Trek through dirt paths and listen to the roar of the waterfalls and the call of the gibbons from a jungle canopy. Walk on the bottom of the ocean and come nose-to-nose with sea turtles as sharks circle above in the Scott Aquarium - a 1.3 million gallon salt water experience. Discover rare and endangered animals as you travel to the world of giant Boabab trees. Expedition Madagascar is the zoo&apos;s newest exhibit and includes a barrier free lemur landing, which means you and exotic lemurs may cross paths on the boardwalk. Explore Hubbard Gorilla Valley and the Orangutan Forest where you&apos;ll quickly learn that the gorillas roam free and you are on display. It&apos;s a day filled with adventure, exotic locations and amazing animals. 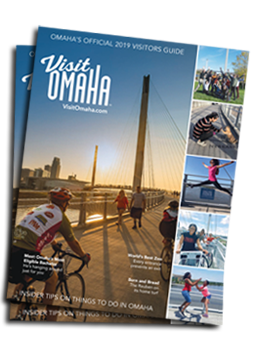 Take the day to discover all the history surrounding Omaha. Climb onboard a steam train, take a look at one of the world&apos;s rarest coin collections, and enjoy an old-fashioned phosphate at an authentic soda fountain. The Durham Museum, Omaha&apos;s original art deco train station, has been transformed into a vibrant museum where you can experience the region&apos;s rich history in a fun hands-on way. Tour the expansive campus of Boys Town. The national landmark, museum, historic chapels, gardens, and Father Flanagan&apos;s home, are all preserved in time inside this world-renowned village. It&apos;s the stuff movies are made of and Hollywood did just that. Boys Town, the 1938 movie starring Spencer Tracey and Mickey Rooney, won an Academy Award, which you can see when you visit. Catch the heritage of jazz in a part of the city where Duke Ellington and Count Basie once played. Love&apos;s Jazz and Arts Center is committed to the preservation and advancement of African American arts; the Center features guided tours, gallery talks, and interactive storytelling. At the Mormon Trail Center, you can take a personal trip to the 1800s by experiencing firsthand the struggles and triumphs of the great Mormon Migration. Pull a handcart like pioneers did all those years ago and see what it was like to live in a make-shift cabin and travel by covered wagon. The first Latino art and history museum in the Midwest, El Museo Latino is a cozy, culturally-intense center that is as authentic as the Latino restaurants and shops surrounding it. Historic South 24th Street is filled with Mexican tradition from murals on the buildings, folk art and pottery, to authentic cuisine and some of the most unique pastries you&apos;ll ever taste. Spend a day enjoying nature in a different way. A walk on the Bob Kerrey Pedestrian Bridge is like walking on art suspended over the Missouri River. This one-of-a-kind 3,000 foot-long suspension bridge provides an almost air-borne experience. Stand in the middle, and you&apos;ll be standing in both Nebraska and Iowa at the same time. Bob connects more than 150 miles of walking and biking trails. Nearby, watch the spectacular fountain at Heartland of America Park with its 300-foot water and light show, hop in a gondola and enjoy a romantic ride, or take a stroll through this 31-acre park located near the Missouri River and Old Market Entertainment District. Lauritzen Gardens is an urban oasis with more than 100 acres of botanical beauty including a Victorian Garden, a rose garden, and a four-acre arboretum. You can even watch as model trains travel twiggy trestles in the model railroad garden or check out the real thing - Lauritzen is also home to two of the most powerful locomotives ever built. The Keystone Trail meanders along 27 miles of the Papio Creek. And Omaha&apos;s four lakes - Cunningham, Zorinsky, Standing Bear, and Lawrence Youngman - offer fishing, boating, and recreational activities all year long. Located along the wooded Missouri River valley and along a main migratory path, it only makes sense that the Omaha area is a birding hotspot. 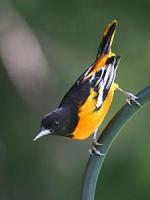 Spring and Fall are peak seasons but because the area offers diverse bird habitat - lakes, prairies, woodlands, and riverbanks - you will find a wide variety of bird species most any time of year. Look for the yellow-billed cuckoo in the summer, the dickcissel in May, the tufted titmouse in November and pelicans have been known to stop over around Easter. Get your heart rate up on the Taco Ride - the country’s longest running weekly bike ride. From early spring to late fall join hundreds of riders as they make a 10-mile journey to Tobey Jack’s Mineola Steakhouse, known for their Thursday night taco special. The Wabash Trace Nature Trail is full of cyclists enjoying the beauty as well as the festive party atmosphere. Just a short drive west of Omaha, you&apos;ll find adventure at Exit 426. Go on safari - Nebraska style - at the Lee Simmons Wildlife Safari and Conservation Park, a four mile, drive-through wildlife experience. It&apos;s a great way to see, bison, elk, cranes, pronghorn antelope and other native animals as they walk right past or up to your vehicle. You can also get out and hike to wolf and bear canyon and climb the nature trails surrounding the park&apos;s lake. After the safari, drive across the road and off to space. The Strategic Air & Space Museum is a 300,000 sq.ft. museum dedicated to the nation&apos;s most prized and rarely displayed military aircraft. Experience the future of aviation and space travel, walk through two aircraft display hangers and see Looking Glass, VooDoo, the Delta Dagger and more amazing flying machines. From space to serenity, as you head back to Omaha for the night, you&apos;ll notice a stunning glass chapel on a hilltop just off I-80. The Holy Family Shrine was created for travelers as an oasis for peace and tranquility. Two streams cut through the limestone that forms the floor and foundation of the chapel and its unique glass architecture with its curved wooden arches makes it a perfect place to stop and enjoy the beauty.